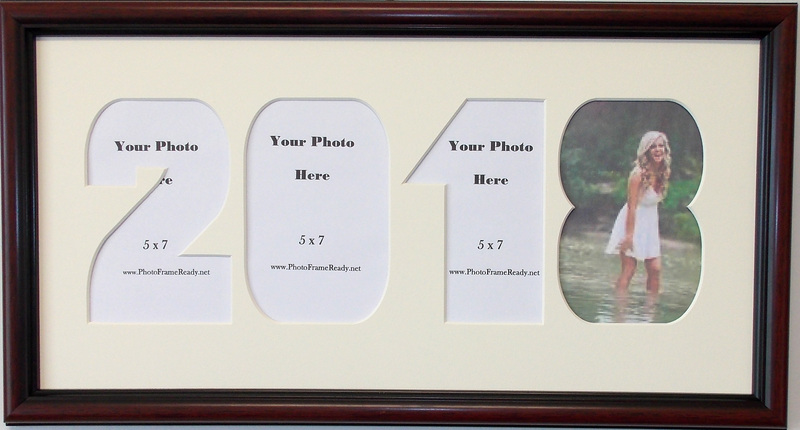 Graduation photo frame collage with 2018 year carved in a creme mat. Number openings will fit a 5x7 photo however it will need to be cut to fit opening. Inside mat measurements are 10 x 20. Rounded face cherry mahogany wood moulding with black accents includes photo mount board with a plastic front and wall hanging system.